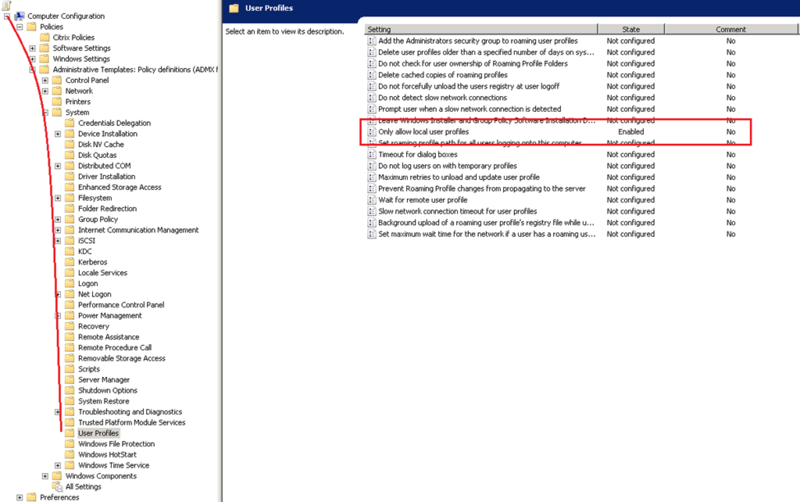 On your RES Workspace Manager (WM) agents (your Windows desktop machines or Hosted Shared / Private Desktops) you want to enforce the use of local profiles. Especially in a mixed environment where roaming profiles are used they can be configured at multiple levels, by enforcing the use of local profiles you can prevent them from being used. 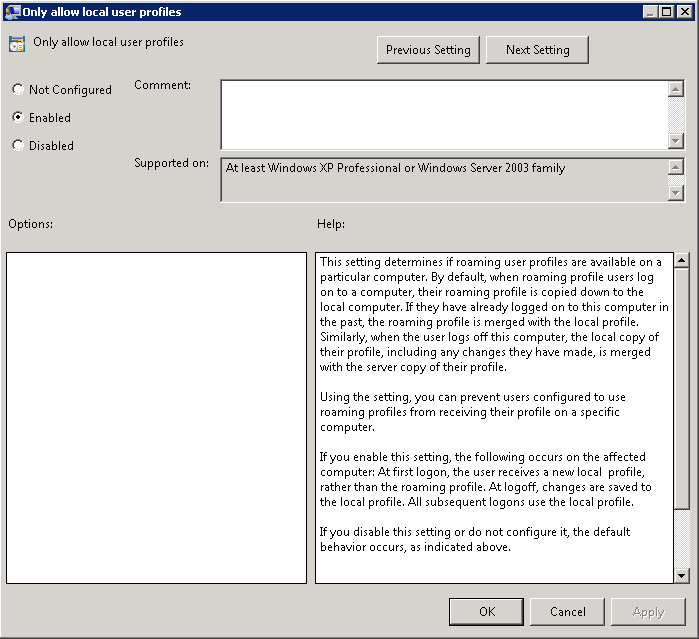 The computer policy Only allow local user profiles prevents the users configured to use roaming profiles from receiving their profile. The policy setting is in the Computer Configuration\Administrative Templates\System\User Profiles node. To avoid the agent from filling up with profiles, and to ensure a user always get a clean profile, the profile needs to be removed when a users logs off. Windows has no built-in functionality to remove a local profile at logoff, like it does for a roaming profile, except for guest users. If you make Windows believe that the users profile is a guest profile it will treat it accordingly, and remove the profile at logoff. 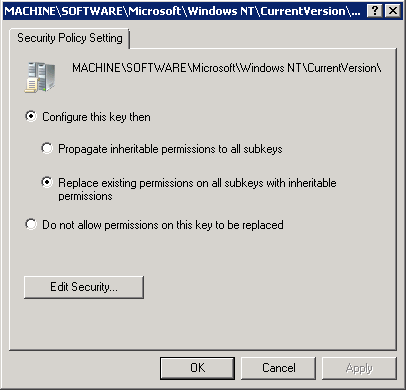 Windows registers each profile in the registry key HKLM\SOFTWARE\Microsoft\Windows NT\CurrentVersion\ProfileList. 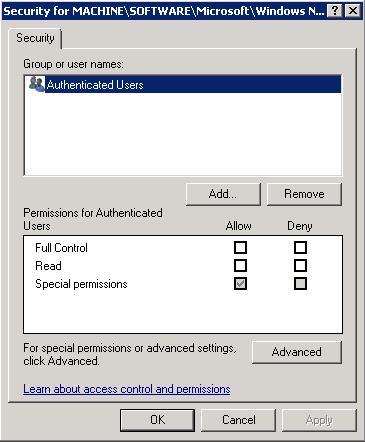 For each user a key is created with the users unique secure identifier (or SID). Besides specifying where the profile is located (ProfileImagePath) and what the users secure identifier is (Sid) the state of the profile is stored in the State value. The name state implies this is a dynamic value which can change (unlike the Sid). The value of the State value is an enumeration of values. For instance with a mandatory profile the state is set to 0x1 and when a profile can’t be loaded the state will be set to 0x800 (temporary profile loaded). The value for a guest profile is 0x80 (or 128 decimal). The only reason we want to change the state value is to trick Windows in believing it’s a guest profile at logoff, so it will remove the profile. So the best moment to change the value is during logoff. With RES Workspace Manager you can create a command that runs at logoff. Changing the value can be done with a batch or PowerShell script (slower and requires ExecutionPolicy to be lowered). Grant permissions to users to change values. The first option, running the task with Dynamic Privileges, is the most secure method as it’s the most granular. No additional permissions are granted and the users can’t change any value in the registry, instead a token is injected at runtime to grant the required permissions. For this feature you require the the Security & Performance module which is part of the gold edition and can be part of the silver edition. When a new user logs in and no profile exists the default profile is copied. During this phase the users gets permissions granted to his profile, unlike with a mandatory profile where all users have access to the mandatory profile (and as a result on all other profiles!). With the Profile Update Utility (PuU), which is part of the Virtual Engine Toolkit (VET), you can easily open the NTUSER.dat (the users registry) and for instance enable Aero. Notice that this file is hidden. Be VERY careful when changing the default profile! All users rely on the default profile, including administrative accounts that have no profile on the agent! Breaking the default profile can potentially block access to the machine! You can use software like Microsoft DFSR to replicate the folder between a number of agents or use (startup) scripts to pull the profile from a shared location. In case your looking for a similar solution for AppSense Environment Manager: Michel Stevelmans wrote an excellent article on how to achieve this. FYI: In case you don’t want to lower the ExecutionPolicy you can use batch script provided in this article. Two little things. The CMD does not work on XP because whoami is missing and the version comes with support tools does not support /FO. great article! what kind of problems did you have with mandatory profiles and certificates? I’m using mandatory profiles with the RES Profile solution to save certificates and it works fine (at least i didn’t receive any complaints about it). 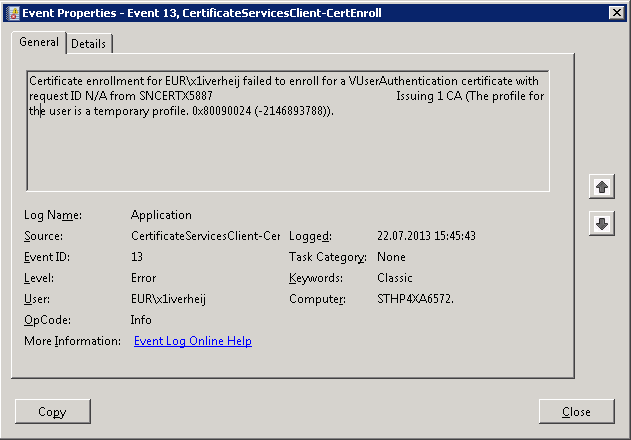 We don’t use auto-enrolled certificates with this customer.